Mannn, what an incredible year 2018 was for both my personal life AND my business! I thought it would be fun to finish off my recap of last year blog posts by highlighting 18 things that happened in 2018! These are not in any order of importance, nor are they in chronological order. I’m really excited to make this a tradition of rounding up highlights of the year and put them into one blog post, almost like a small digital yearbook of that year! I had so much fun putting these photos and memories together and taking me back! Thank you to everyone who was a part of my life and made 2018 one of the best years yet!! I was given the amazing opportunity to photograph 22 couples and celebrate their engagement sessions! I shot at some amazing locations from the beaches of Indiana, to a coffee shop in Milwaukee, Wisconsin, to the gorgeous views of downtown Chicago, and SO many places in between and I even had one in the middle of a BLIZZARD! So many incredible sessions last year and you can see a highlight from them all in my Best of Engagements 2018 blog post! 11 WEDDING DAYS! 11 brides and grooms who had me join them in celebrating the biggest and best day of their lives! (Also, a huge congrats to the 3 couples I 2nd shot last year with my good friend Dan Voss ) You all mean so much to me!! Check out all of my FAVORITE images and moments from last years wedding season in my Best of Weddings 2018 blog post! WE BOUGHT A HOUSE!!! I remember back in our first 2 years of dating, Brian and I would go back and forth from my parents house, to his parents house, to going out where ever we could to spend time together and we would always say “I wish we had our own house” or “I just want to live with you”. It was a few months after our 2 year dating anniversary and we signed our life away, packed up all of our stuff out of our bedrooms at our parents homes, and moved 1.5 hours north to our very first apartment! I was only 19, and I was scared as heck, but so excited! You would think that only dating someone for 2 years and moving far away from your parents and friends would be kinda scary, but I already knew I was going to marry him someday (fast forward 5 years ;) hehehe) so I was excited to start this new chapter with him! We spent a year in that apartment with another couple, then moved to a new apartment by ourselves for about 6 months, then we bought a townhouse! We spent 4 years in that townhouse growing together as a couple, got our pup Zoey that we love more than the world, got engaged in, had many holiday family get togethers in, planned our wedding in, and right after our honeymoon we decided that our hearts miss our hometown. It was time that we bought a place of our own with a yard (we lived on the 2nd floor of every place we lived in!!) , and we wanted to move back home! Literally! We loved Brian’s parents house so much that we bought it from them!! Brian, Zoey and I now have our own little chunk of the Earth with a yard (and a pool, yay!!) that backs up to the cornfields! Country girl will always stay a country girl, lol! ^^ Heck yes she is, little one! And that BOW! I can’t even handle it. I launched my new business name, website and brand! This was a HUGE project that took months and months of hard work, late nights and lots of planning! I actually had two other “business names” before Megan Goggins Photography that I will not mention to save you from laughter haha but hey, everyone starts somewhere, right? I knew that I wanted to have a brand and a business that was very personal. I wanted people to not just book me as their wedding photographer because they needed a photographer, but because they loved ME and who I was and I felt like I couldn’t really do that with the name I had before. 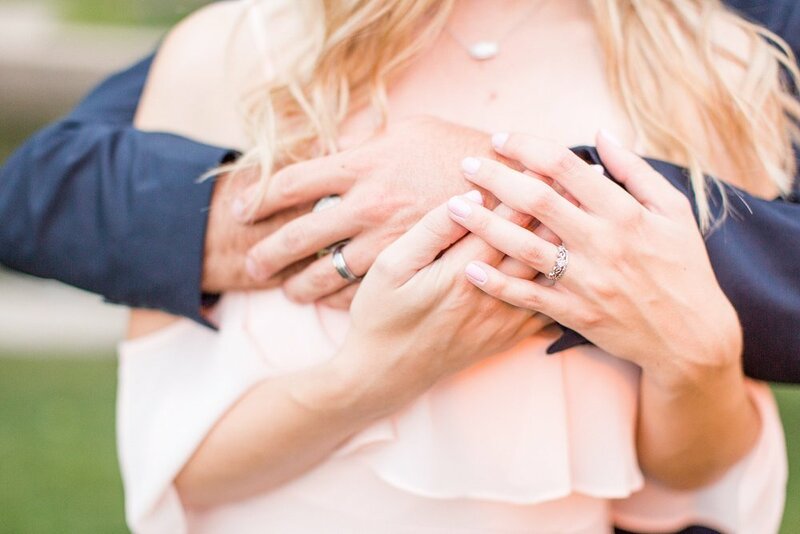 Once I got married and knew I was taking Brian’s last name, I knew I wanted to make the change very quickly so I could start fresh, and hit the ground running! I hired Elizabeth Nord to take new head shots of me, and I also hired a logo designer ( Hayley Bigham Designs ) to help me create new logos that would go on my new website and marketing materials! I absolutely LOVE how everything turned out and I was ready for the next step! …. After changing my business name, getting a whole new brand and look, it was time I became official. I went full time in my business and I am officially the owner of Megan Goggins Photography Inc. !!! (SO crazy to even see that, still !!) Also, shout out to my sweet Mom for getting me these flowers and champagne when we celebrated my new brand launch! My biggest #1 fan! Brian and I celebrated 8 years of dating!!! We got in front of the camera for the first time since our own wedding day with miss Alexandra Lee and I just absolutely LOVE these photos of us! I wanted to have beautiful pictures of us to hang around our new house that weren’t all wedding photos and also, we needed updated photos of us BAD! This was so much fun to get dressed up and be on the other side for a change! Our little fur baby turned 5 ! And we threw her a birthday paw-ty!! YUP, I’m that dog mom, and I love every second of it! We had tennis balls and frisbees to play with, we snacked on paw-tato chips , pup-corn , fetch sticks (pretzels) , and Zoey’s favorite human food— apples!! 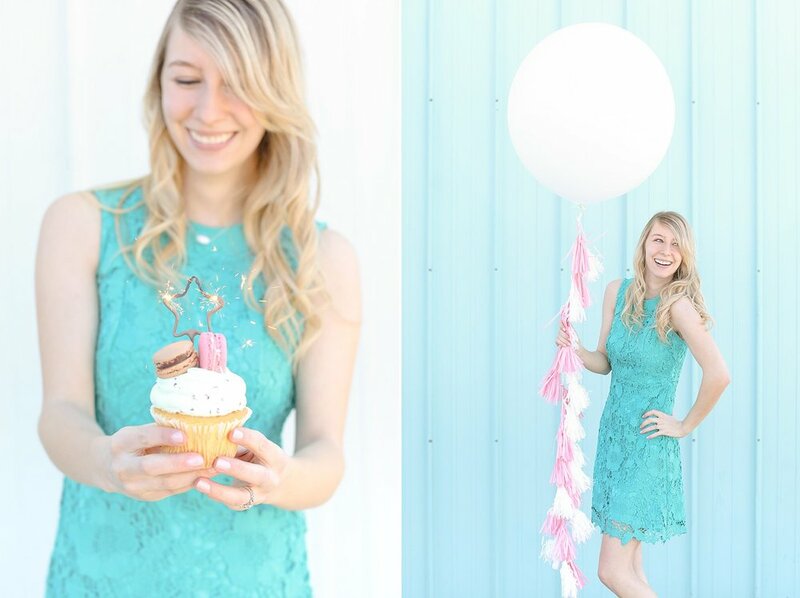 You can see the whole party and all the fun details HERE! Bringing Zoey into our family 4 years ago was one of the best things that ever happened to us! She brings us so much joy and love, even on our hardest days she has her way of making us smile and forget about everything! If anyone out there is on the fence about getting a dog, DO IT! And please, go through a rescue or foundation! We got Zoey through The Almost Home Foundation . We actually have been talking about getting Zoey a brother to play with soon and because she is half wiener dog and half lab, we want to try and find a full wiener dog!! My hope is we find a handsome little man that I can get a collar that has a bow tie on it! HOW cute would that be!! Haha! For the first time ever, I was featured on someone else’s website! Me! About MY business! I was invited to share a little bit about my story and business on Voyage Chicago and I just thought that was the coolest thing! You can read the full article HERE! I also ordered a printed version of this article to frame in my office! Haha! I was the matron of honor at my best friends wedding!! This was actually a lot of firsts! First time being a maid/matron of honor. first time actually being IN a wedding, and this was the first wedding Brian and I attended together after our own wedding day! Let me tell you, it was SUCH an amazing experience on so many levels! I have attended weddings as a guest, I’ve photographed 20+ weddings, but being on the other side of the camera and being a big part of a wedding (a very special one I should add!) was incredible! I probably cried more at Courtney’s wedding than at my own! (wait, it might be a close tie! haha I’m a huge sap!) I got to be a part of the wedding party introduction into the reception (SO much fun!) and give a matron of honor speech! (I am absolutely terrified of public speaking!!) I was dreading this part for months! But I got through it, many tears later, and I am honored I was given that opportunity to write and say a speech about my very best friend on her wedding day! All of these special moments that I get to photograph for other couples, I was IN that spot! It was such a cool experience that I will cherish forever! Love yah, Courtney & Reagan!! ^^ Sitting at the HEAD TABLE! So much fun!! ^^ Funny but also terrifying story about this! Before the reception started and the wedding party introductions were about to happen, I gave Brian my purse (and my phone!!) to keep at his table! MOMENTS before I had to give my speech, I realized that the very thing that had my speech on it, was waaaayy across the room! And I FROZE! I had just a few seconds to not make a scene, run off the stage (stage?) and get to Brian’s table to grab my phone, and run back to my seat! I was a nervous wreak! Hahahaha! I invested in tons of education to better myself as a photographer! I learned from Amy & Jordan, Mary & Justin, Hope Taylor and my absolute favorite, Katelyn James! From online courses, to live webinars, to blogs and videos, I wanted to gain as much education as I could this year and I am learning more and more every day! We celebrated our 1 Year Wedding Anniversary in October!! WHAT?! It’s already been a year since our wedding day?! (VIEW IT HERE!) 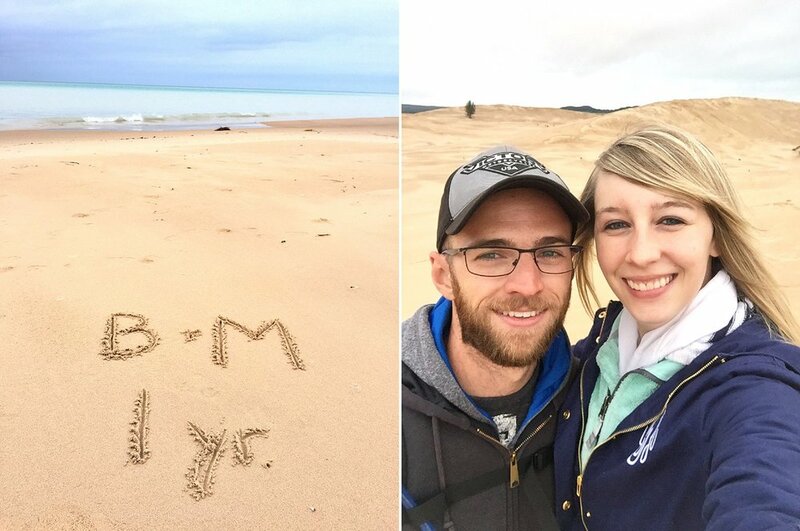 Brian surprised me with a trip to Michigan for a few days and we explored SO much! 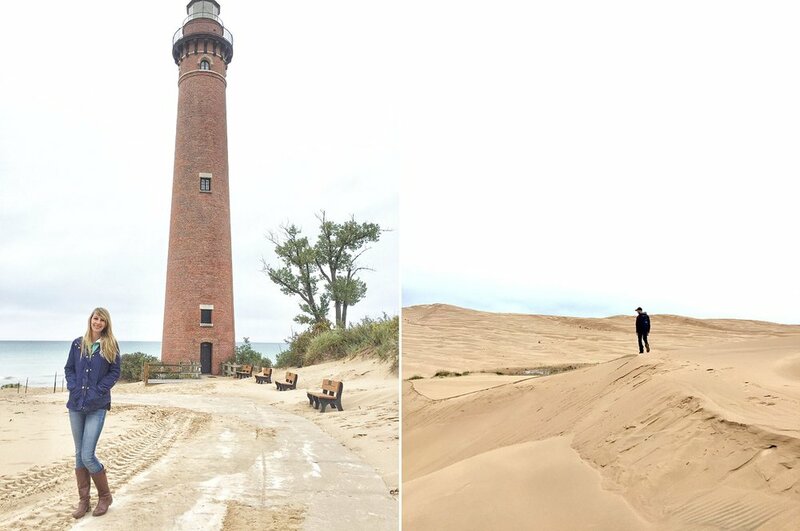 We went to the Silver Lake sand dunes which was incredible! All you could see for MILES was sand, sand, and more sand! We ate at some cute diners, drove along the coastline, explored the small cities around where we stayed, and just had the best time! We also brought our saved slice of wedding cake to try on the actual anniversary day! To my surprise, it actually tasted totally normal! This trip was so much fun and I am so grateful for him for planning the surprise for us! MY WORK WAS PUBLISHED!!! One of the shoots I was a part of early last year got featured on Wedding Day Magazine! The day that I got the email saying that my photos that ‘I’ took were going to be featured on their website, I wanted to cry and do a happy dance! (I’m pretty sure the day it went live, both of those things happened! 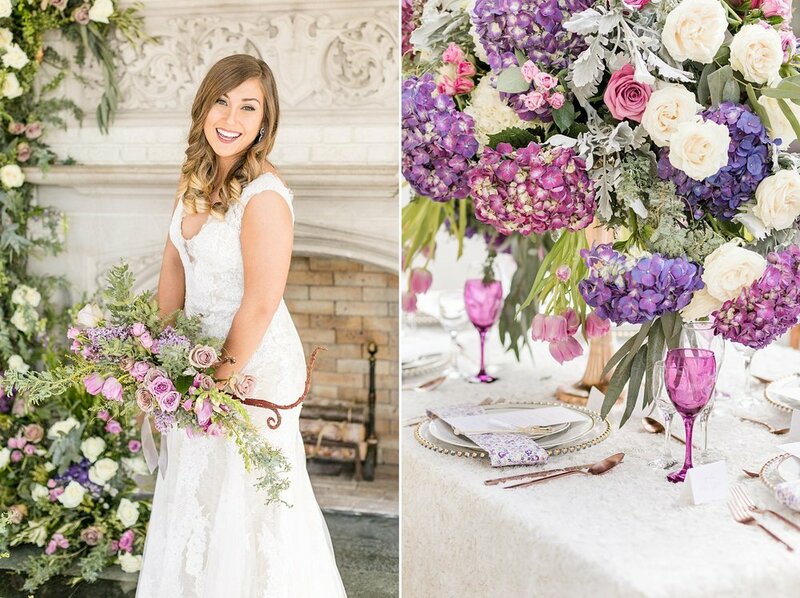 haha) This spring styled shoot at the Laurel Hall was SUCH a dream to be a part of! I was obsessed with all the details that went into this day, and the color palette was just gorgeous! Our 2nd big purchase as a married couple, we bought a car!!! As we all know, cars don’t last forever and both of ours are on its last limb so we decided to sell Brian’s car and get a newer and more reliable “family car”! My work was published, AGAIN! Just a few weeks apart my 2nd feature went live! This tropical shoot at Navy Pier was featured on Chicago Style Weddings! Just seeing my work on a website that isn’t my own is such a crazy feeling! Our first time cutting down a real Christmas tree! 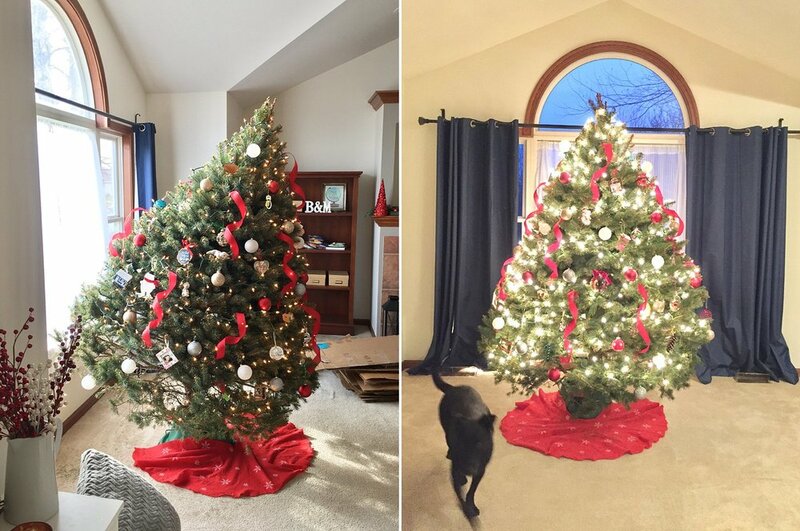 I grew up having real trees during Christmas and I loved it! We never had to chop them down ourselves so that was something that I was looking forward to with Brian! While we were living together all of the past 6 years, we had a fake tree just because we knew those places were temporary. This year was big! We had our own house and I was SO ready to decorate and make our home as holly and jolly as can be! So I planned for December 1st to be the day we chop down our first tree together and after having it for a whole holiday season- here are my thoughts on why we will be getting a FAKE tree from here on out haha…. 2. Remembering to water the thing was kind of a pain? Maybe this is a sign that I shouldn’t have any plants in our house lol. ^^ So right when you walked into the front door, you saw the biggest eye sore and felt concerned (and embarrassed) for us. Hahaha, okay so I’m being dramatic! But if you stood in front of the tree it looked perfectly fine! So we just told everyone to… “look at it from THIS angle”. Hahaha! We will always remember Leaning Lucy and the laughs it brought us during our first Christmas in our new home! :) BUT, for next year, fake tree it is. To finish off with number 18, we hosted Christmas Eve AND day of 2018 in our new home with both of our families! It was such a special memory for us! On Christmas Eve we had Brian’s family over, played games and enjoyed everyones company and then Christmas Day we had my family over! 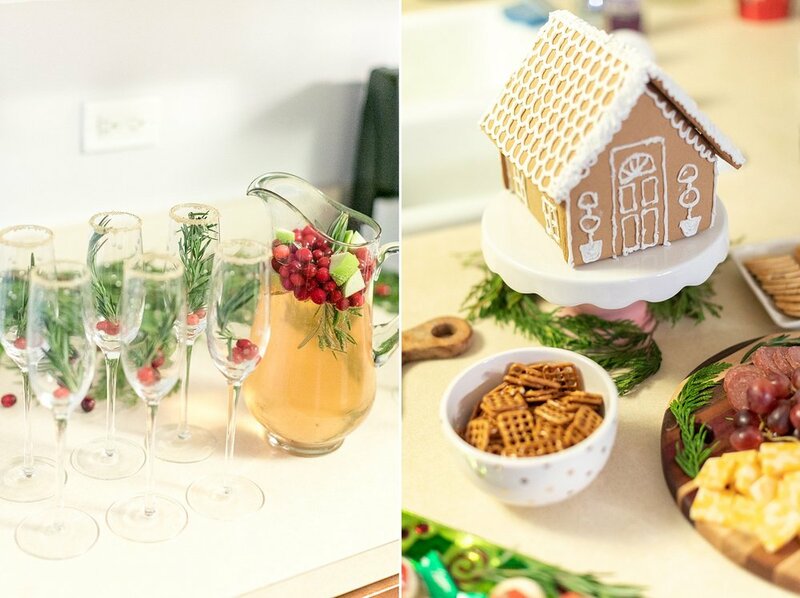 I made festive drinks (adult versions AND kid friendly!) that were a HUGE hit and it wouldn’t be a Christmas party without cookies and treats! It was definitely one of the best Christmas’ ever and we got to experience it in our new home! If you stayed until the very end of this post, you are the real MVP and I’m giving you a virtual hug for being so interested in my life! Please! Comment down below something exciting that happened in your life in 2018!